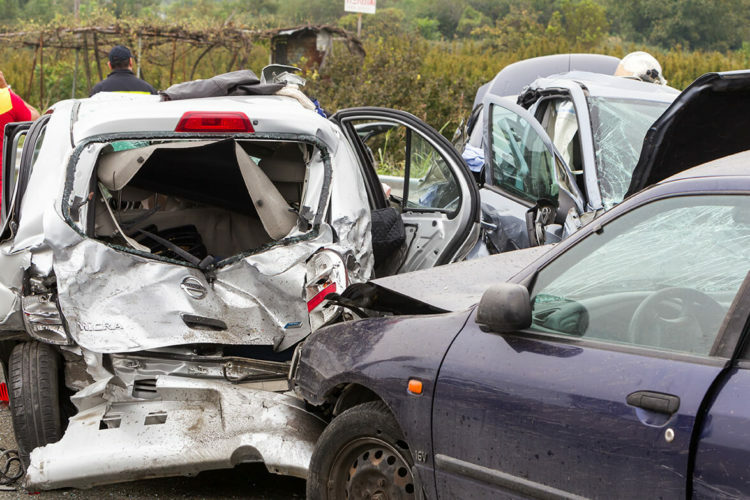 Like most car accidents, a multi-vehicle crash can leave you with questions. Depending on where your car was in the pileup, you may wonder about liability. If you’re injured, you may need the answers even more. Here’s how it can happen. You are slowing down with traffic on Highway 290. You hear screeching brakes from behind you. You have kept a safe distance from the car in front of you. Nonetheless, there is no escape route. When a pickup strikes your vehicle in the rear, you are pushed forward into the car in front of you. Later, you find out that the accident actually started two cars behind the pickup. So, who is at fault? When a motor vehicle crash happens in the manner we described, it is also known as a chain reaction accident. Several variables go into evaluating the accident scene to determine fault. In fact, these type of car wrecks is often considered the most complicated. Accidents that involve more than two vehicles can result in serious injury. According to an analysis conducted by the Bureau of Transportation Statistics, a small percentage of chain reaction accidents lead to fatalities. In those cases, speed was often a factor as were the condition of the road. It is entirely possible for more than one driver to bear responsibility in any type of crash. Was the driver at the beginning of the chain solely to blame for the accident? Not necessarily. The fact that his or her actions caused the initial collision most likely means there is some liability. But, it could be shared among the other motor vehicle operators. All drivers have a responsibility to control their vehicles. There may be a claim that an accident was unavoidable because the car in front stopped suddenly. However, that doesn’t justify the failure to stop in time. It also doesn’t mean others involved in the accident were not driving carelessly. Let’s go back to our beginning scenario. Not only were you injured in the crash, but so were the occupants of the vehicle in front of you. In addition to your personal injury claim, you may find yourself facing a lawsuit. Fortunately, your insurance company will assign an attorney to handle claims made against you. In the meantime, you should consult with an experienced personal injury attorney in Houston regarding recovery for your injuries. Some vehicles such as trucks may have recording devices that could be useful in investigating the accident scene. Your attorney will gather all of the information as well as your medical records to pursue the claim on your behalf. At de Lachica Law, we put our experience and investigative tools to work on behalf of our clients. Contact us to get answers to your legal questions.